WhatsApp is a beast when it comes to communication. It's arguably what truly gave phone calls a backseat to messaging. Now it's added video calls on Android to bring back more intimate communication. WhatsApp calling availability was first spotted by Android Police which reports it's in beta on Android. If you have build 2.16.318 or newer then you should be able to video call. Just remember the person at the other end will need an updated version of the app too. As you can imagine WhatsApp makes the process super simple, just like its normal calls service. Simply find a contact within the app, tap the call button and select “Video call”. It'll then launch like a FaceTime call. Failing that the app will let you know if the person at the other end needs to update their app. Remember when calls first launched on WhatsApp and it was a bit of a laggy mess? Expect the same issues to crop up for video calling on less stable connections. But also expect them to get fixed as this becomes more efficient and used by more and more people. The selfie made it more acceptable to hold your phone up in front of your face in public. Maybe this will make video calls the norm, just like sci-fi movies of the past showed us the future would offer. 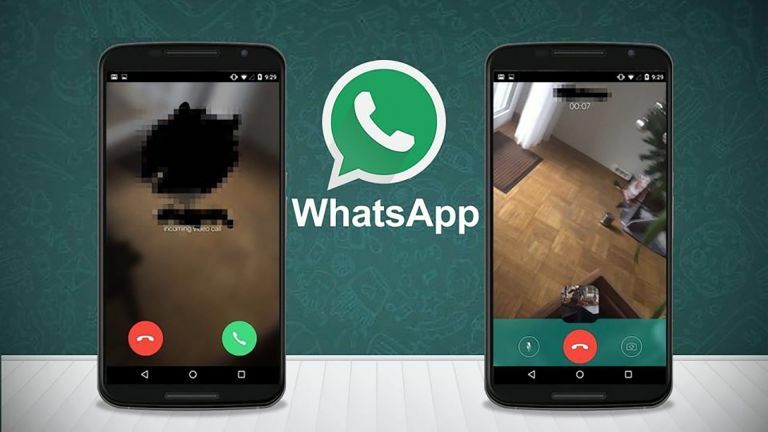 If you want to get the latest WhatsApp build to update your phone, or to send to a friend you want ot video chat with, then download the APK here and enjoy. WhatsApp gets Snapchat style videos, do you have it yet?